At San Jose State, in the heart of Silicon Valley, we are turning to technology to support student success in many ways. New technology has evolved and expanded the way we teach classes. It is allowing us to use data and predictive analytics to make informed decisions about what resources are needed to improve graduation and retention rates. 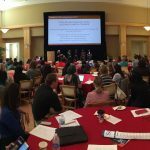 It is opening up new opportunities for students and faculty to engage together in research. As Provost, I am encouraged by our staff and faculty who have been early adopters of new technologies and serve as examples for the campus. They have found innovative ways to use the assets we have available to take students beyond the boundaries of the traditional classroom. We have faculty members who are redesigning their courses to use new applications that increase student engagement and real-time assessment. 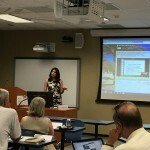 Others use telepresence and WebEx to connect with long-distance research partners or bring guest lecturers into their classrooms remotely. Still others are incorporating new software tools into their curriculum to ensure students have the skills they need to land internships in their fields. Academic Technology, IT Services, and the Center for Faculty Development have been integral in supporting students, staff and faculty as we adopt new technologies. 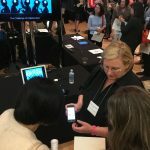 They coordinate group workshop and training activities such as the recent Adobe Day, where 50 staff and faculty members learned how to use new software programs at the company’s downtown office. 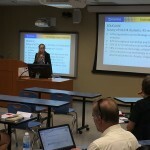 IT Services also hosts IT Open Forums several times a year, where all students, staff and faculty are invited to learn about the ways in which technology and higher education intersect.Dates of upcoming forums are available online. 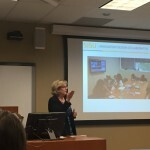 Academic Technology and ITS staff are collaborating more closely since ITS joined the Academic Affairs Division in the fall. I am enthusiastic that their joint efforts will greatly benefit us all, especially as student success continues to be a top priority on campus. 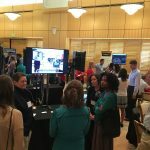 I encourage those of you who are interested in learning more about the existing technology resources we have on campus to connect with Academic Technology, IT Services and the Center for Faculty Development, or to consult with them when you discover new resources that could benefit the greater campus community. I look forward to seeing the innovative ways we can collaborate to improve student success, support RSCA and educate the future workforce of Silicon Valley. 21st Century Teaching and Learning Spaces priority. 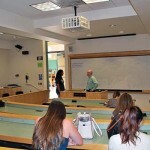 Timothy Brown, a lecturer who teaches a course on compensation and rewards for the Lucas College and Graduate School of Business, was pleased with the update to his classroom in BBC 021. The way his classroom is set up, students face west toward the front of the classroom where the setting sun shone through windows on two doors. 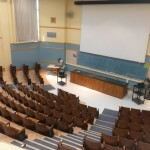 Over the summer, nearly 100 classrooms received new and updated furniture; new whiteboards were installed in 36 classrooms; 56 classrooms received new shades such as the one in Brown’s class; and fixed seating was upgraded in five lecture classrooms. Working in partnership with Academic Technology, 36 classrooms also received technology updates. More improvements are slated for the coming year. New shades were installed in BBC 021 during the summer. 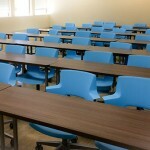 Nearly 100 classrooms received near furniture over the summer. Floors and seats were refinished in Washington Square 109.